Learning how to write fractions in their simplest form is essential for math class and real-world scenarios. Give kids the practice they need to master this skill, which is a building block for the addition, subtraction, multiplication, and division of fractions. is the name of this fast-paced race game! Draw a line through the center of a piece of paper, cutting it in half horizontally. This will act as a fraction bar, separating the numerator and the denominator during the game. Create one of these for every two players. Have each pair of players face each other. Shuffle and deal out the cards evenly between the players. Each person should place their cards in front of them, face down. Begin the game by having every player turn a card from their stacks face up simultaneously, and place it on the paper in front of them. The cards should be placed above the fraction bar, to represent the numerator. Players should then repeat the process with a second card, placing it below the fraction bar to represent the denominator. For every two players, there should be two cards above and two cards below the fraction bar, for a total of four cards. The first person to successfully simplify the fraction shown in front of them wins all of the cards. 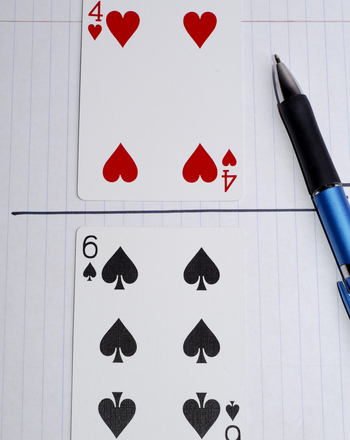 If both players simplify the fraction at the same time, they split the cards. 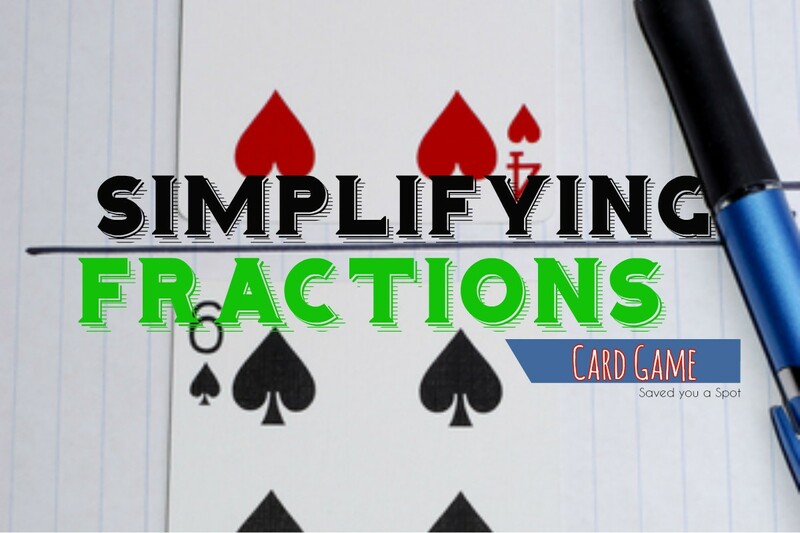 If the fraction can’t be simplified, have each player take the cards that the other player laid down and put them at the bottom of his deck. When one player has collected all of the cards, the game is over and they’ve won! When the time* is up, the player with the most cards is the winner! *To shorten game length, you can set a time limit on the game. 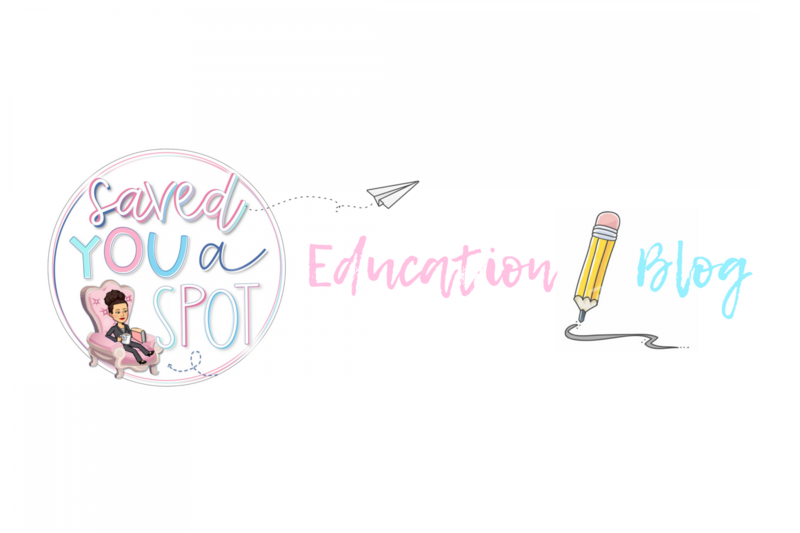 Education.com aims to empower parents, teachers, and homeschoolers to help their children build essential skills and excel. With over 12 million members, Education.com provides educators of all kinds with high-quality learning resources, including worksheets, lesson plans, digital games, an online guided learning platform, and more. 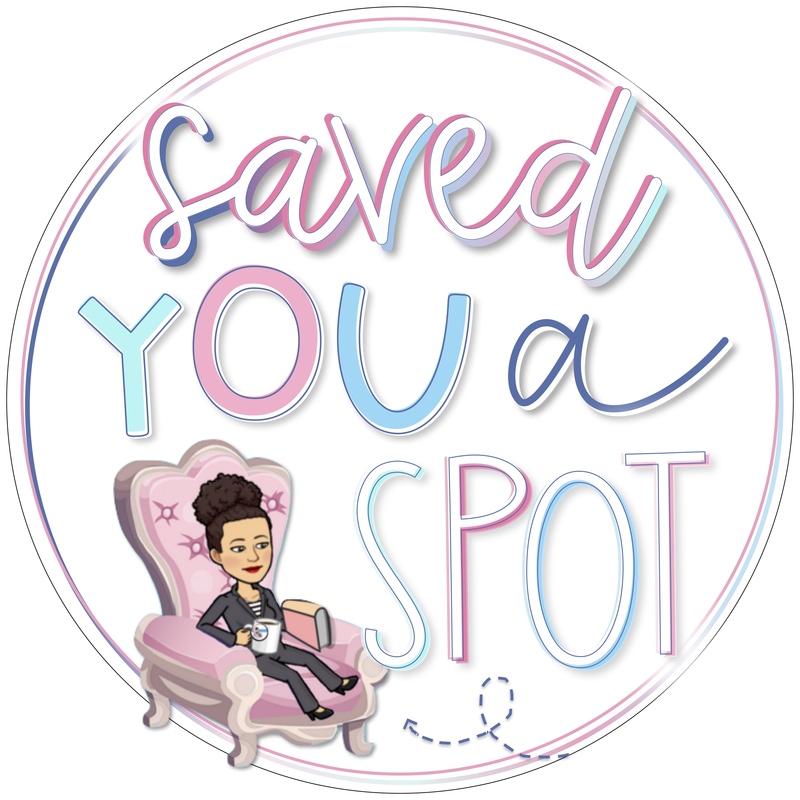 ← My Two Year Blogiversary!